Sunday featured an epic meal that truly deserves it’s own post. I met up with Jill, a college pal, at Tavern for brunch. Jill was the one who pointed out Alice Waters eating there almost a year ago so we have been long overdue for a brunch date there. When we arrived Jill asked what on the menu is “great” and honestly, EVERYTHING is amazing. I said we for sure needed some of the breakfast potatoes. We placed our orders and snagged a table outside. It was 70 and sunny (sorry those in Chicago, where it snowed yesterday!) and we definitely wanted to enjoy the nice weather. 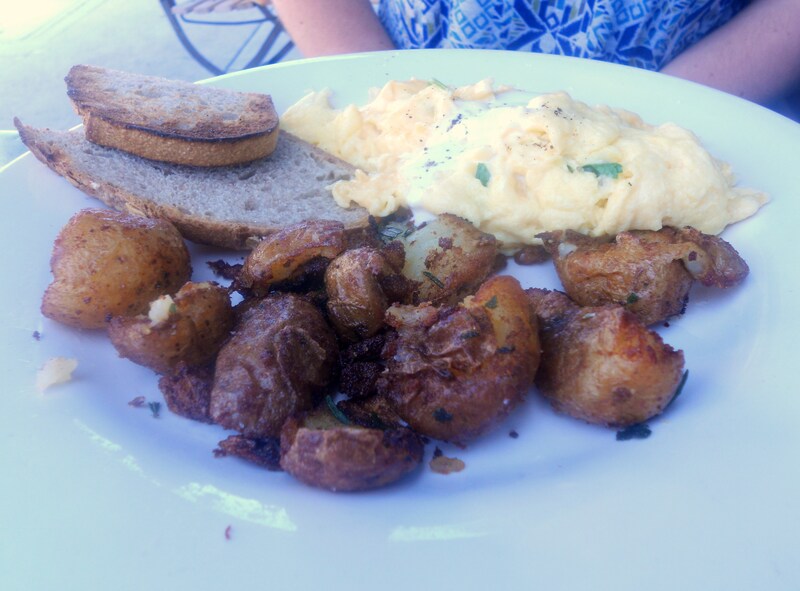 Jill ordered soft scrambled eggs with fontina cheese and creme fraiche. Cheese and creme fraiche? Can can bet it was good! It came with whole wheat toast and breakfast potatoes. Jill agreed, best breakfast potatoes ever! Crispy on the outside, soft on the inside. 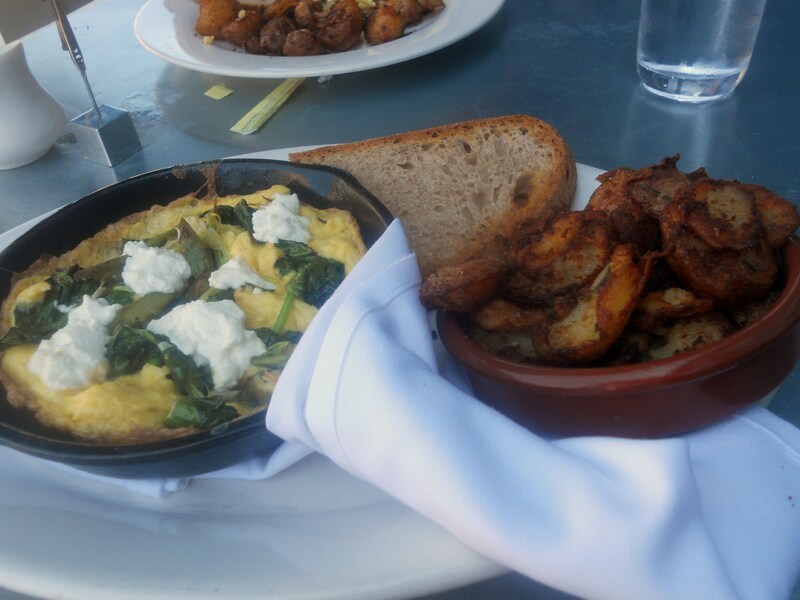 I ordered frittata with asparagus, green garlic, spinach and chevre, again with a side of whole wheat toast and potatoes. Why, hello my potato love. It’s good to see you again. 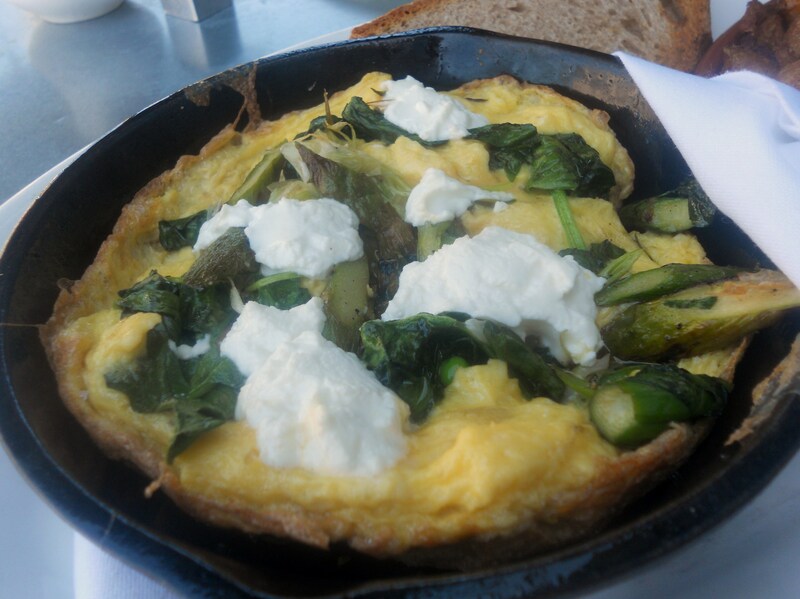 Frittata is one of the egg dishes I love (true story). Asparagus is in season right now and it was truly delicious! The eggs were so light and fluffy. This is an egg dish I would for sure order again. Jill and I had a great time chatting catching up. Before we left I told Jill she had to try the macaroons. Sadly, there were no salted caramels but I decided to try Mexican chocolate and vanilla bean instead. We got them to go. After saying goodbye to Jill I went home with the intent of saving the macaroon for later. Who cares that “later” was 30 mins after arriving home. Whoops, how did that happen? Chocolate with a mild spice. 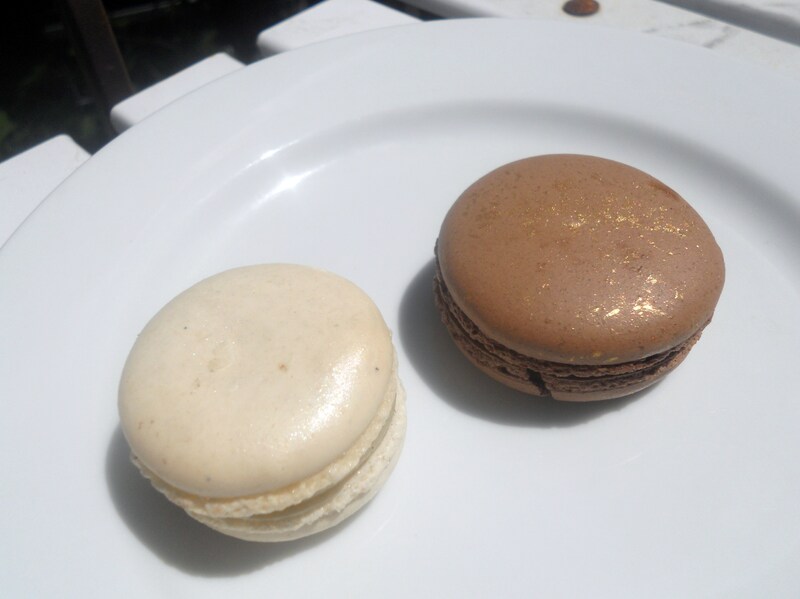 Overall, both of the macaroons were excellent, but of course they are no salted caramel. Oh well, I still won’t complain because they were still damn good. 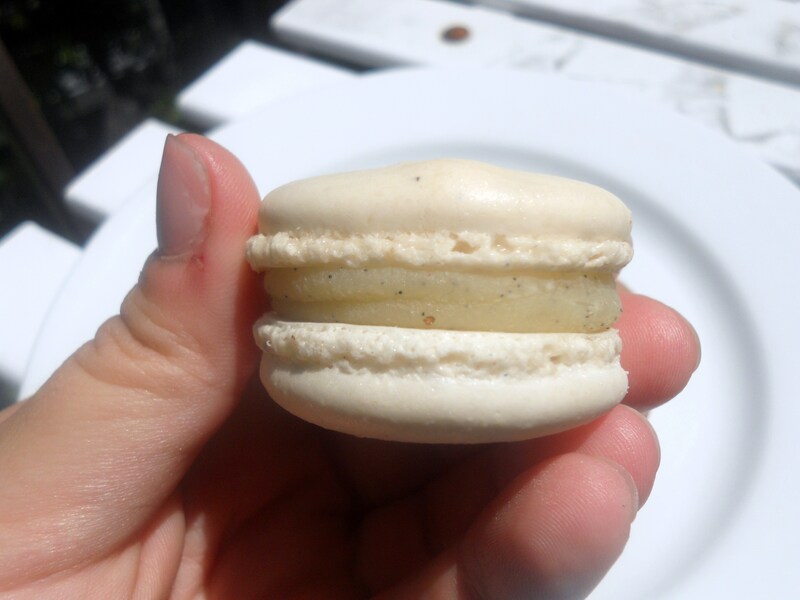 I need to try a macaron again. 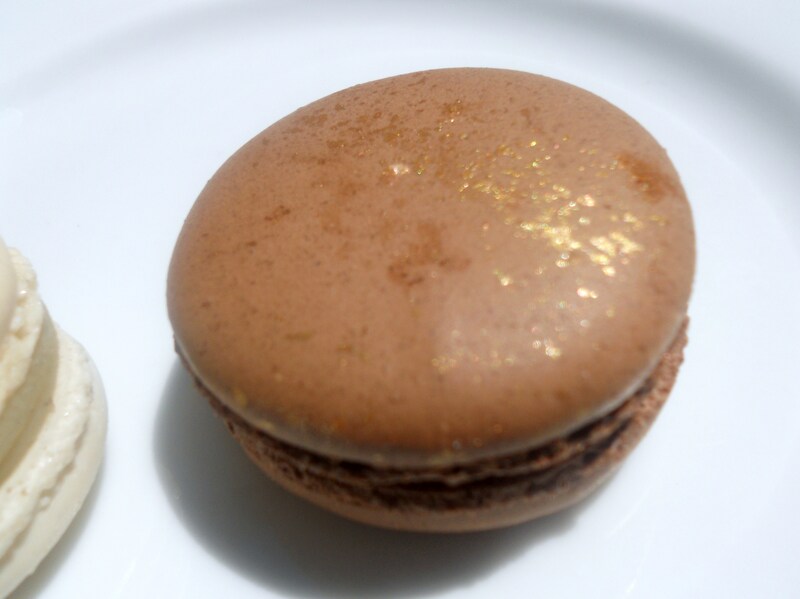 Macaroon? In Italy they were macarons? I get confused. Either why, I want another. love that cast iron skillet! My favorite brunch item is Eggs Benny or a stacked omelet with all sorts of healthy fillings.